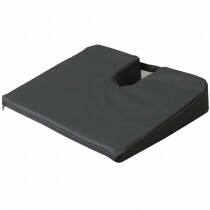 Did you know that there is more than one type of wheelchair cushion? When shopping for wheelchair cushions, you can choose from foam seat cushions, gel seat cushions, basic seat cushions and comfortable seat liners. Reading through customer reviews is a lucrative way to learn more about the right wheelchair cushion for you. If you're unsure about which wheelchair cushion is the right choice for you, browse through some of the customer reviews for our wheelchair cushions to learn more about each product. You can also leave a review for your favorite wheelchair cushion. "I used to have pressure sores from sitting in my wheelchair all day. This cushion allowed my sores to heal and keep them from coming back." "It is very lightweight and easy to transfer from the wheelchair to the car seat." "The Wheelchair Liner was delivered promptly and was exactly what I was hoping for: comfort for Mom in her wheelchair."